← These shoes are meant for running! 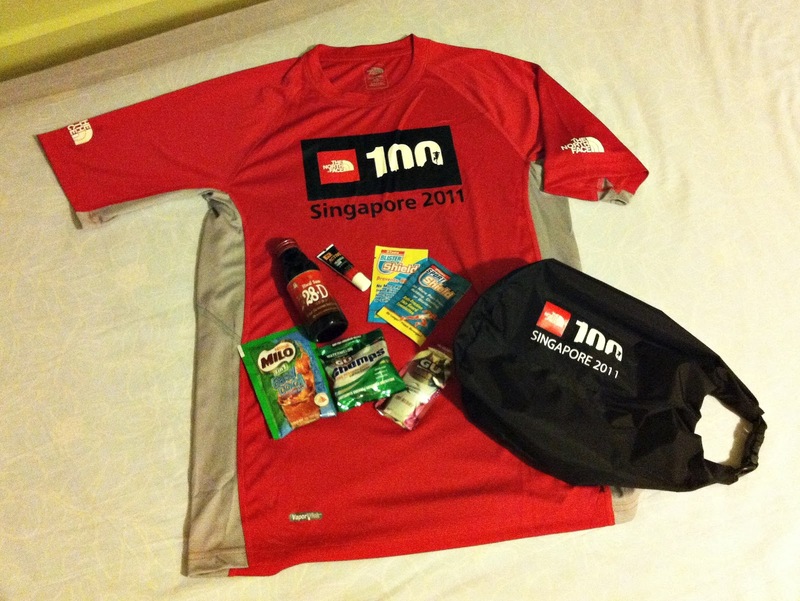 Went to collect our Northface pack last Friday, check out the goodies. 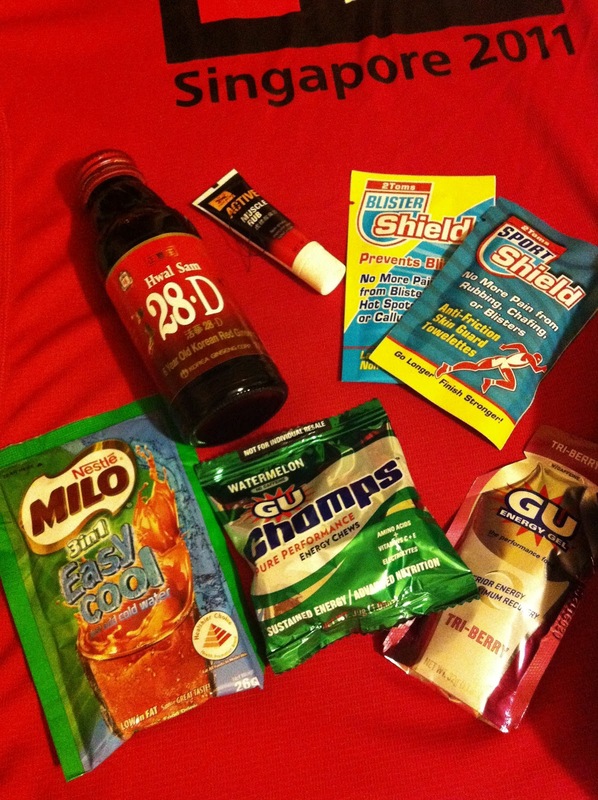 Milo, Ginseng drink, chewables for energy, powder to prevent blsiters and liquid energy gels and mini muscle rub. Not bad at all. Compared to Perth.